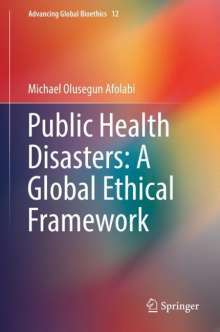 Der Artikel Michael Olusegun Afolabi: Public Health Disasters: A Global Ethical Framework wurde in den Warenkorb gelegt. Ihr Warenkorb enthält nun 1 Artikel im Wert von EUR 87,60. This book presents the first critical examination of the overlapping ethical, sociocultural, and policy-related issues surrounding disasters, global bioethics, and public health ethics. These issues are elucidated under the conceptual rubric: Public health disasters (PHDs). 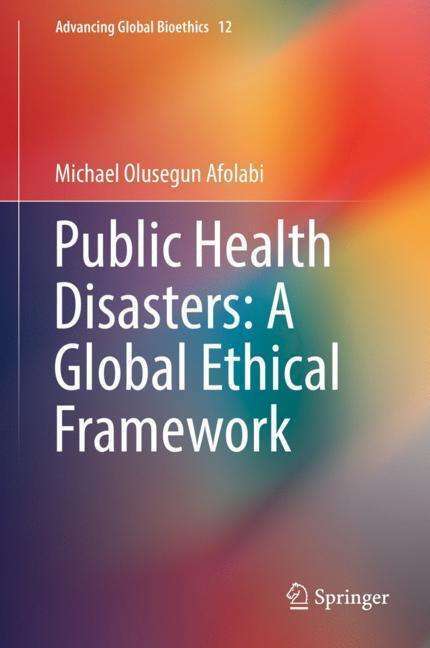 The book defines PHDs as public health issues with devastating social consequences, the attendant public health impacts of natural or man-made disasters, and latent or low prevalence public health issues with the potential to rapidly acquire pandemic capacities. This notion is illustrated using Ebola and pandemic influenza outbreaks, atypical drug-resistant tuberculosis, and the health emergencies of earthquakes as focal points. Drawing on an approach that reckons with microbial, existential, and anthropological realities; the book develops a relational-based global ethical framework that can help address the local, anthropological, ecological, and transnational dynamics of the ethical issues engendered by public health disasters. The book also charts some of the critical roles that relevant local and transnational stakeholders may play in translating the proposed global ethical framework from the sphere of concept to the arena of action. This title is of immense benefit to bioethics scholars, public and global health policy experts, as well as graduate students working in the area of global health, public health ethics, and disaster bioethics.